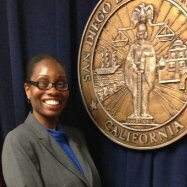 Today’s guest post comes from Susan Paul, the co-president of the San Diego Chapter of AmeriCorps Alums. 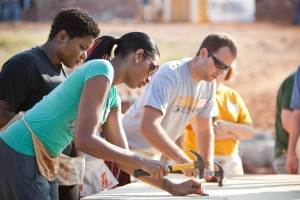 As AmeriCorps Alums – we are all servant leaders and possess a variety of skills that may be underutilized. I would like to see Alums identify and share their strengths to enhance professional and personal development. I think it is important to amplify successes when other Alums are leading, and to help each other communicate the indelible impacts that our service experience has had on our lives. I enjoy building and maintaining mentoring relationships with Alums in person, and through social media across the nation (and even the world). I had already been doing this informally for the past few years and thought by becoming a local Chapter Leader I could formalize the process while contributing to the AmeriCorps Alums national network. For example, I use LinkedIn and Twitter to mentor and support current AmeriCorps Members and Alums as they explore service and career opportunities. I receive requests to review resumes, share contacts, and I also promote job/service opportunities that come my way. As a next logical step, I thought it would be impactful to partner with Grace Liu, my former AmeriCorps VISTA Supervisor and current colleague, in order to support Alums and members in the San Diego area. Networking has led to numerous rewarding professional and personal opportunities for me and I desire to share my time, talent and resources with others to achieve their goals and develop their skills. Hosting mentoring and networking events as the San Diego chapter will create a space that allows members to connect and reflect, as well as opportunities for San Diego Alums and current members to learn from each other. Service is the thread that connects all AmeriCorps Alums, and when we took the AmeriCorps pledge, we all made a commitment to a lifetime of service. By creating, managing and supporting service projects that empower individuals, families and communities to make a positive difference collectively, the San Diego chapter can help to provide an outlet for our members to live out that commitment. I’m constantly hearing how local AmeriCorps Alums spend their time and talents to serve vulnerable populations where they live, work and play while at the same time enhancing their own well-being. By helping to lead a chapter, I believe we can scale that impact by providing a space for alumni to come together and serve on a consistent basis. AmeriCorps service can be extremely challenging and after my first service year I realized I experienced burnout, but never processed it. A strong and self-aware leader knows how to maintain a healthy state of spirit, mind and body as they transition from service to work. As a Chapter Leader in San Diego I am in a unique position to use my skills and resources to help AmeriCorps Alums and current members lead, mentor/network, serve/advocate and promote self-care/health and wellness. I am a proud two-term AmeriCorps Alumna in San Diego via Boston! I completed over 4,000 hours of service through AmeriCorps and have learned a great deal about finding balance and want to helps others do the same. I fulfilled direct/indirect service as a Boston Community HealthCorps (BCHC) Member ’05-’06 at Boston Children’s Hospital – Martha Eliot Health Center. I excelled as an AmeriCorps*VISTA Member ’09-’10 at San Diego County District Attorney’s Office. It’s been a wonderful journey transitioning from service to working as a macro social worker in the DA’s Communications AND Community Programs, where I also serve as a County Wellness Champion. National service directly led to me gaining meaningful employment. I am thrilled to report I have no undergraduate debt thanks to earning two Segal AmeriCorps Education Awards which I used to pay off my student loans. As a social worker I strive daily connect people to resources and to positively shape the lives of all those I encounter. As a Chapter Co-President in San Diego I am in a unique position to listen, learn and lead AmeriCorps Alums and current members as they lead, mentor/network, serve/advocate and enhance self-care/well-being. If you are interested in taking a leadership role in your chapter, you can view a list of active chapters here, and email your chapter leader. If there is no chapter in your area, you can read more about starting a chapter here. ← Clark University Targets AmeriCorps Experience, Offers Over $500,000 in AmeriCorps Alum Scholarships in 2013 Alone!